Seagate Technologies and RackTop Systems on Tuesday announced a partnership and their first product, a secure data storage solution designed to help government organizations address cybersecurity and compliance challenges. The joint product from RackTop and Seagate is the Secure Data Protection Platform (SDP2), a storage solution designed to help government organizations, civilian agencies, military agencies, and contractors in the United States and Europe protect sensitive data against both insider and external threats. 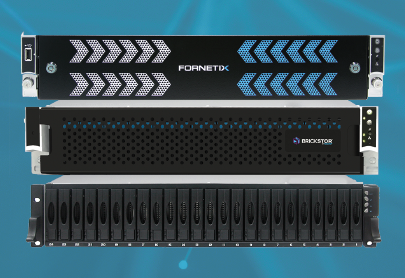 SDP2 combines encryption key management from Fornetix, a high-performance software-defined storage platform from RackTop, and disk drives and enclosures from Seagate. The companies claim the new product is compliant with the Trade Agreements Act (TAA), the Buy American Act (BAA), NIST 800-88 (guidelines for media sanitization), NIST 800-171 (protecting unclassified data on nonfederal IT systems), FIPS 140-2 (federal standard for approving cryptographic modules), and the European Union’s upcoming General Data Protection Regulation (GDPR). According to Seagate and RackTop, SDP2 can be used for file sharing, virtual machine storage, databases, and DevOps. It includes policy-driven data protection, anti-ransomware mechanisms, and auditing and reporting features. The product provides encryption, versioning, orchestration, replication, retention and disposition capabilities. The solution is ideal for both small offices and data centers as it can easily scale from a few terabytes to multiple petabytes, the vendors said.